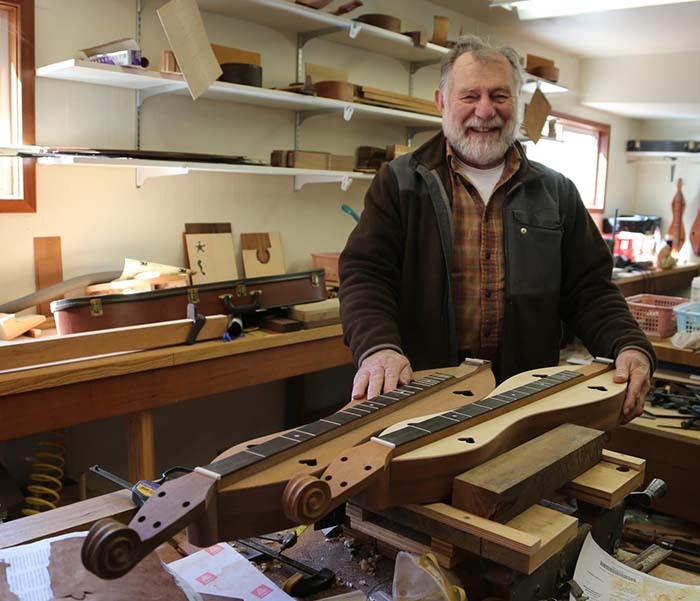 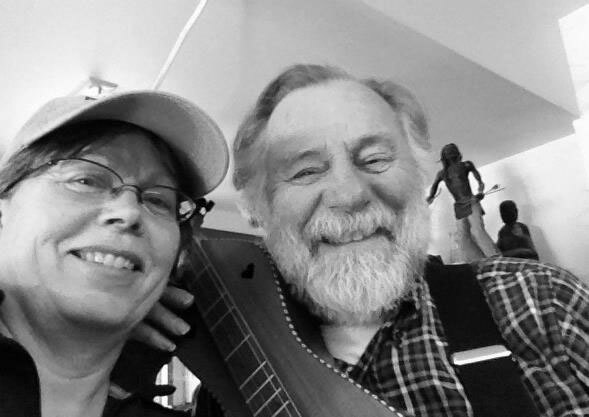 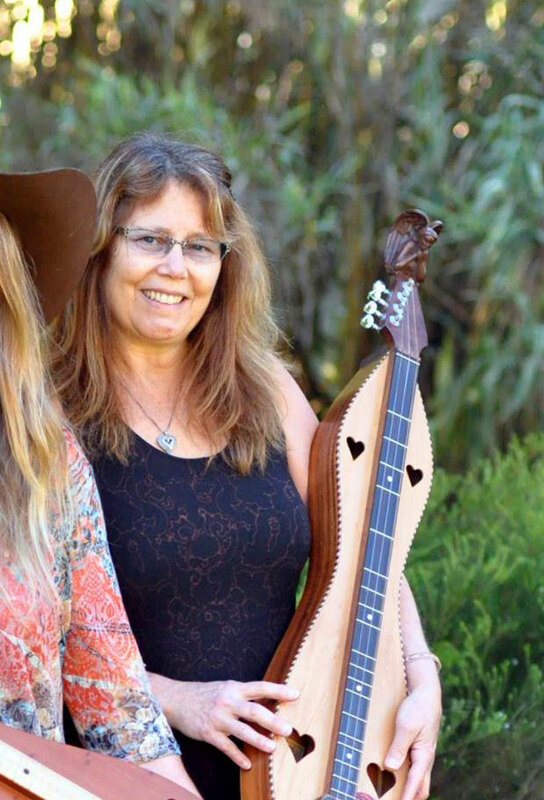 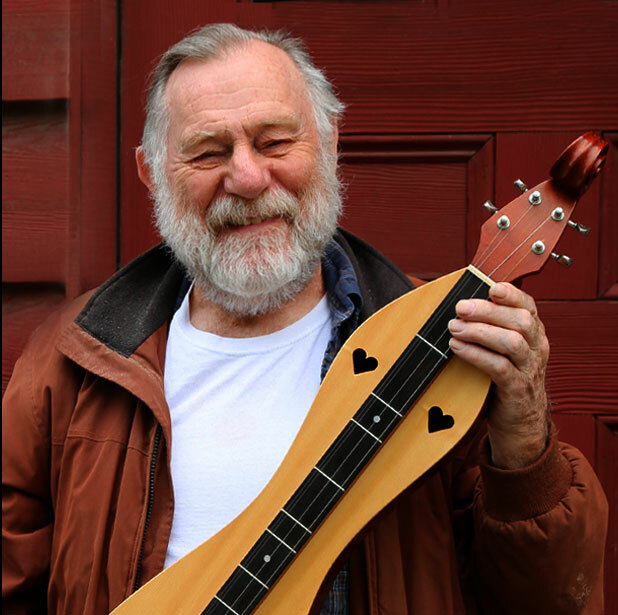 Howard Rugg is the master luthier behind the well-known CapriTaurus and early Folk Roots Dulcimers. 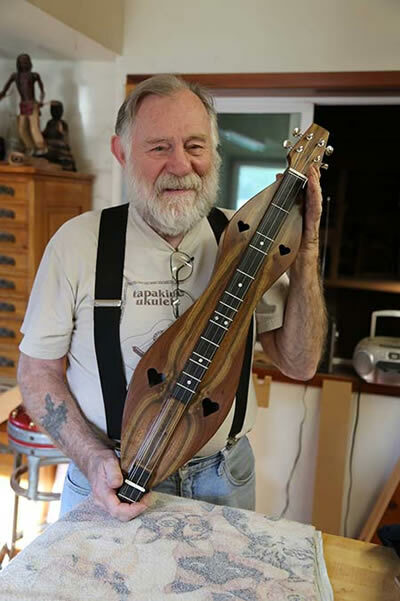 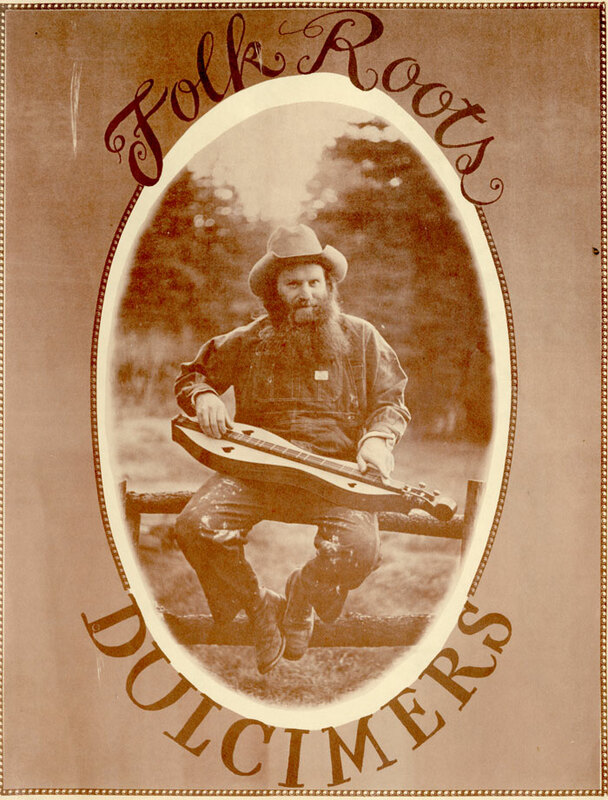 The thousands of dulcimers built in his workshop are being played all over the world by amateur to accomplished musicians. 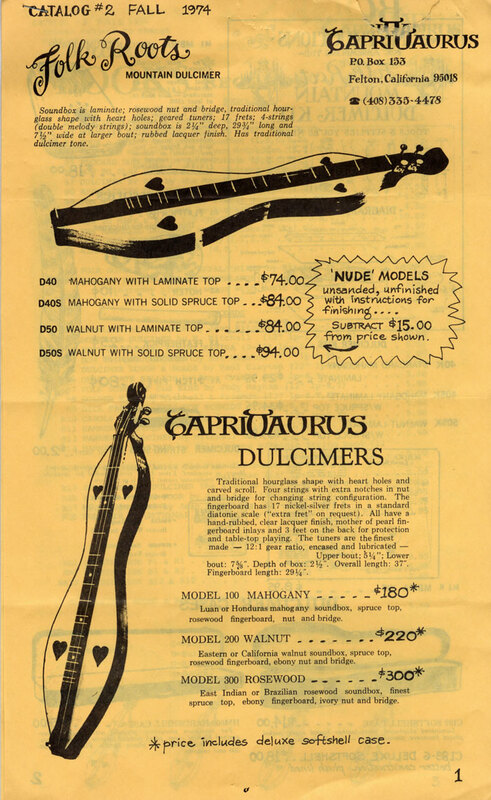 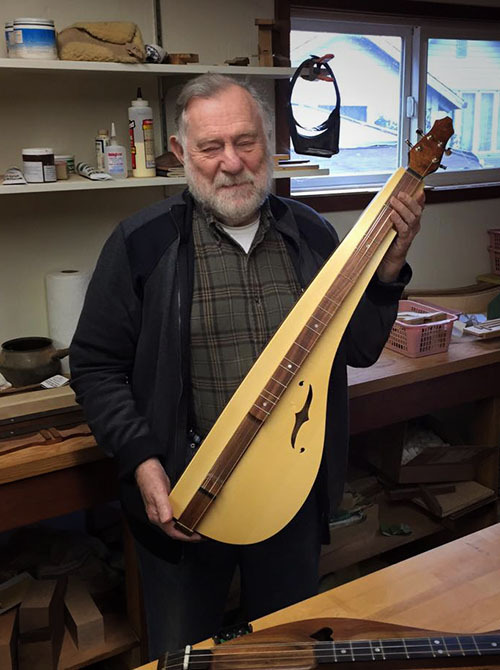 Howard has recently started making dulcimers again under the name CapriTaurus. 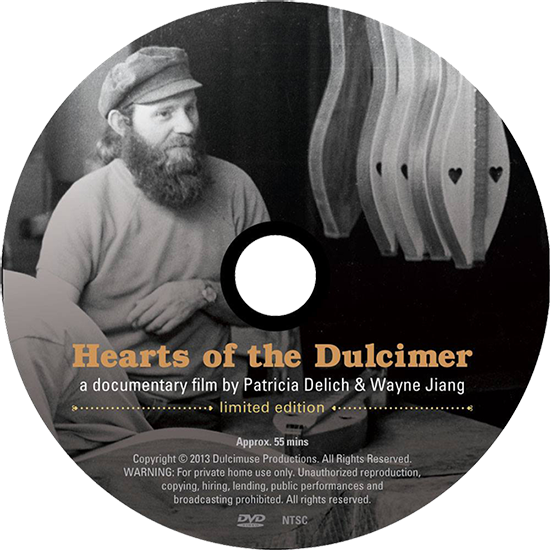 With commentary by Lance Frodsham and Laura Devine Burnett. 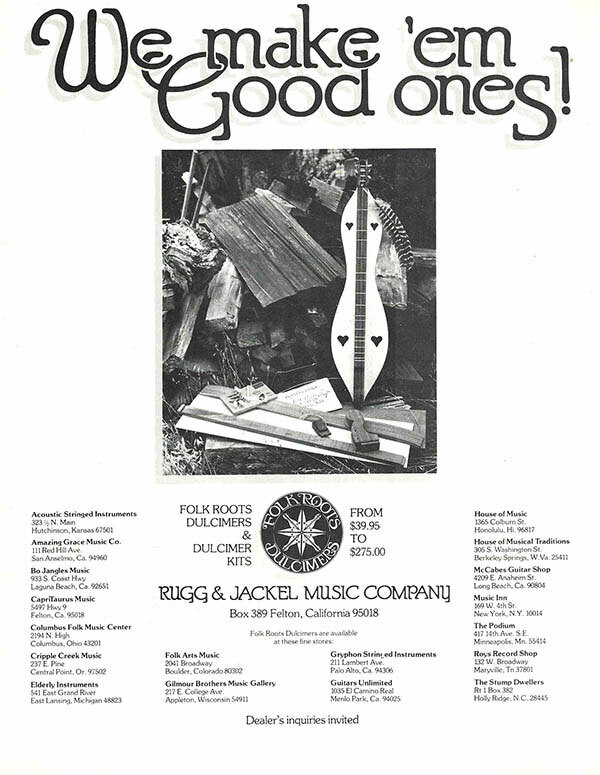 All the music in this episode was played on dulcimers created in Howard’s workshop. 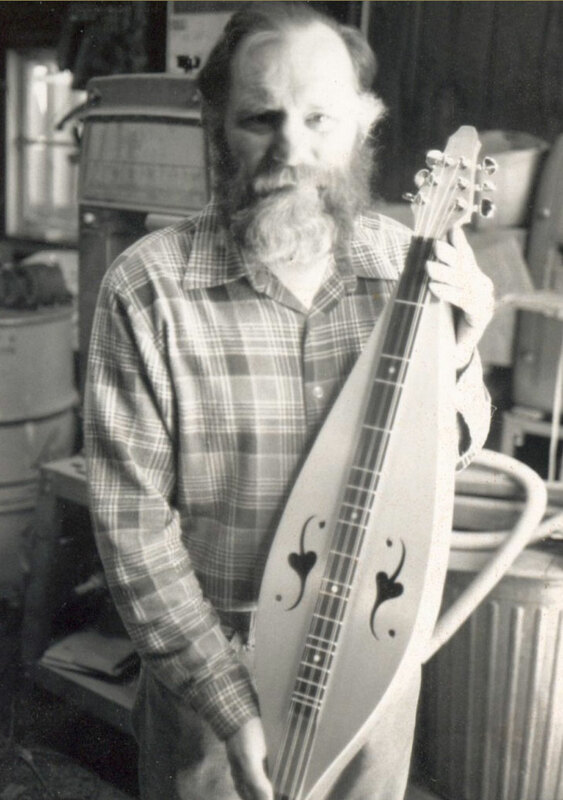 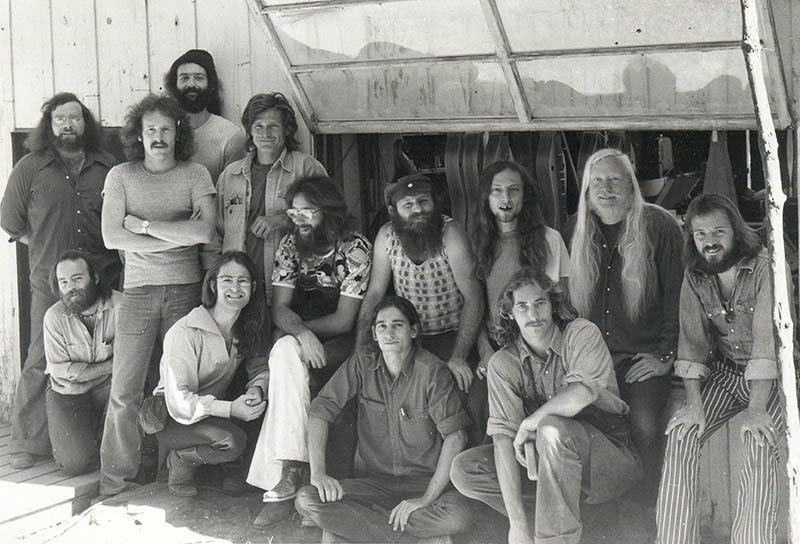 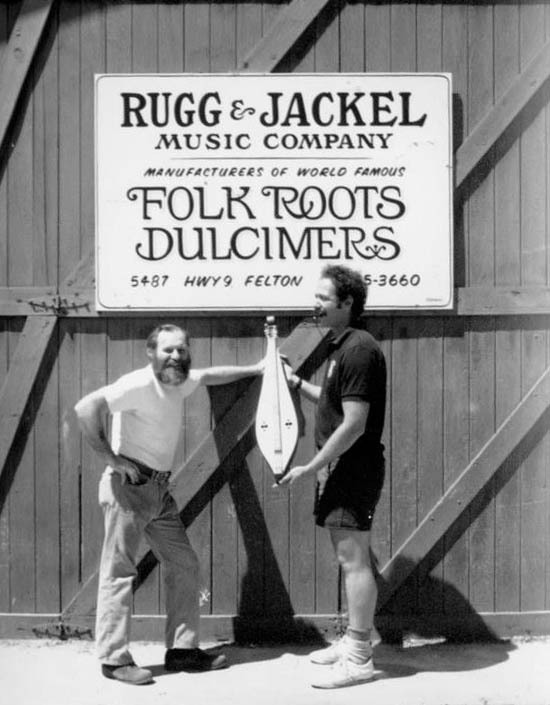 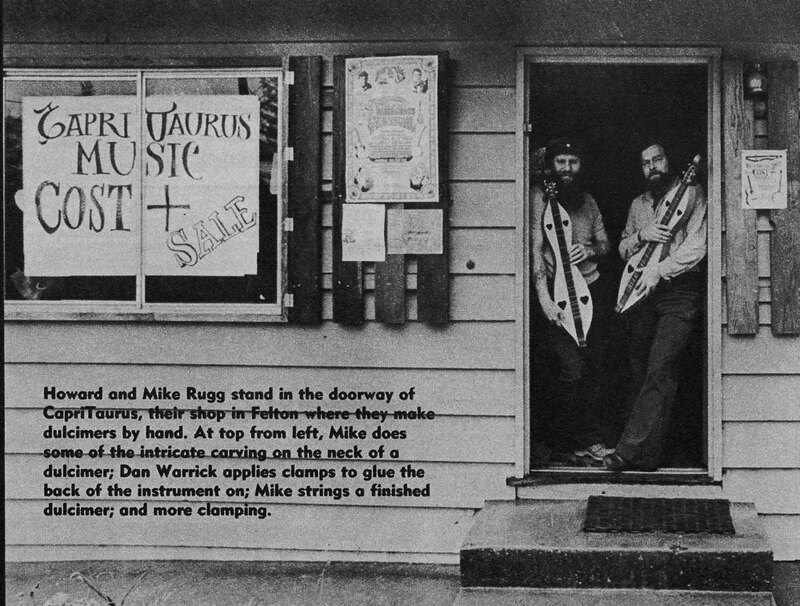 Left: Howard Rugg, mid-1980s with a Folk Roots custom teardrop 6 string. 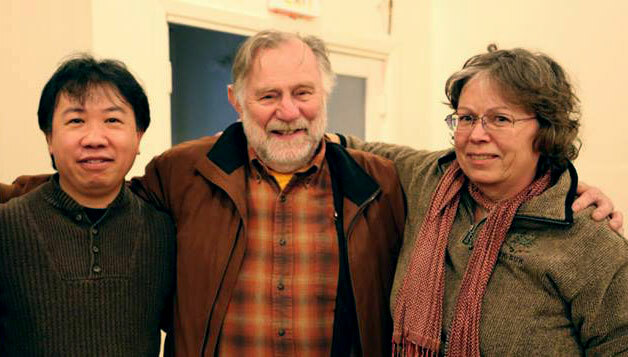 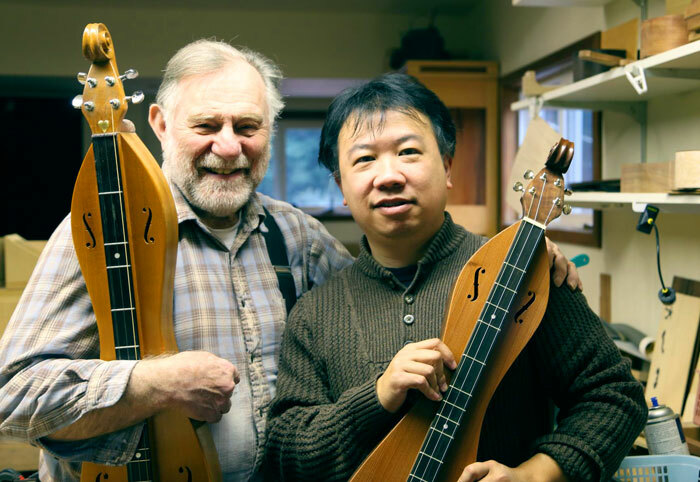 Right: Howard Rugg in 2015 with a short scale CapriTaurus dulcimer.